Fundraising provides vital money to support the Group and maintain the Headquarters – Some of the items sold here are for these purposes. All other items will raise money for The Linskey Training Fund. All items are new unless marked as Used. Postage prices are for UK deliveries only. If you want to buy an item and pay cash at HQ, please email us quoting the item reference. If you wish to sell an item, the group will take a £1 donation from the sale price. Please send a photo, sale price and item details to Stall Holder. Pete Linskey had spent his life in Scouting from the age of Cubs, enjoying what it offered him. He moved into Venture Scouts spending almost every weekend away on activities, and in later years helped run the Unit. In his business life Out of Town Action Sports provided instruction for kayaking, climbing, archery, shooting and first aid, and he continued to support the Group in providing these activities for sections. The Linskey Fund was set up in Pete's memory after his sudden death in 2011 with items donated from his estate by his mother Mary. 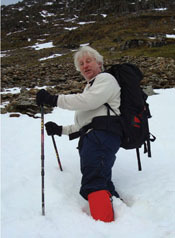 The fund provides money for training in activities that were dear to his heart. Items in this section are second hand uniforms. Some have a few marks and others badges that may need to be removed. Useful as spares or to tide over for growth spurts near to going up to the next section.